"Cnn." redirects here. For the news network, see CNN. 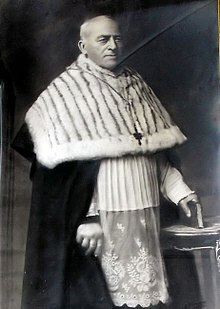 One of the functions of the cathedral chapter in the Roman Catholic Church was to elect a vicar capitular (now named a diocesan administrator) to serve during a sede vacante period of the diocese. Since the 1983 revision of the Code of Canon Law, this responsibility belongs to the college of consultors, unless the national bishops conference decides that the functions that canon law ascribes to the college of consultors, including this one, are to be entrusted to the cathedral chapter. All canons of the Church of England have been secular since the Reformation, although an individual canon may also be a member of a religious order. Mostly, however, they are ordained, that is, priests or other clergy. Today, the system of canons is retained almost exclusively in connection with cathedral churches. A canon is a member of the chapter of (for the most part) priests, headed by a dean, which is responsible for administering a cathedral or certain other churches that are styled collegiate churches. The dean and chapter are the formal body which has legal responsibility for the cathedral and for electing the bishop. The title of Canon is not a permanent title and when no longer in a position entitling preferment, it is usually dropped from a cleric's title nomenclature. However, it is still given in many dioceses to senior parish priests (including some Rural Deans, those who have played a role in the wider life of the diocese, those who have served in the diocese for a long time, or similar) as a largely honorary title. It is usually awarded in recognition of long and dedicated service to the diocese. Honorary canons are members of the chapter in name but are non-residential and receive no emoluments. They are entitled to call themselves canon and may have a role in the administration of the cathedral. 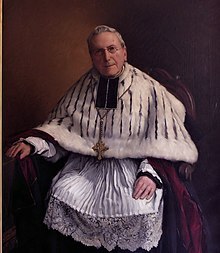 Generally speaking, canons in the Anglican Communion are of this sort, and thus are equivalent to a monsignor in the Roman Catholic Church, often wearing the violet or violet-trimmed cassock which is associated with that rank. In some Church of England dioceses, the title Prebendary is used instead of canon when the cleric is involved administratively with a cathedral. Honorary canons within the Roman Catholic Church may still be nominated after the Second Vatican Council. Also, priests (and honorary chaplains) of the Sovereign Military Order of Malta and the Equestrian Order of the Holy Sepulchre are, in fact, titular or honorary canons of these respective Orders and have the right to the honorific title of "Canon" and "Monsignor" in addition to the choir dress of a canon, which includes the mozetta (black with purple piping for Malta and white with a red Jerusalem cross for Holy Sepulchre. Since the reign of King Henry IV, the heads of state of France have been granted by the pope the title of sole honorary canon of Saint John Lateran and Saint Peter's. On the demise of the Kingdom of France this honour became transferred to the Presidents of the Republic, and hence is currently held by Emmanuel Macron. This applies even when the French President is not a Catholic or is an atheist. The proto-canon of the papal basilica of Saint Mary Major is the King of Spain, currently Felipe VI. Before the Reformation, the King of England was a canon of the basilica of Saint Paul outside the Walls. In addition to canons who are clerics in holy orders, cathedrals in the Anglican Communion may also appoint lay persons as canons. The rank of "lay canon" is especially conferred upon diocesan chancellors (the senior legal officer of the diocese, who is usually, though not exclusively, a lay person). It has traditionally been said that the King of England (now the British Sovereign) is a canon or prebendary of St David's Cathedral, Wales. However, this is based on a misconception. The canonry of St Mary’s College, St David's became the property of the Crown on the dissolution of the monasteries. The Sovereign was never a canon of St David’s, even as a layman (see also The Thirty-Nine Articles of Religion (1562) Article 37), though he or she may occupy the first prebendal stall, which is assigned for the monarch's use. A canon professor is a canon at an Anglican cathedral (either lay or in orders) who also holds a university professorship. There are four canon professorships in the University of Oxford in conjunction with Christ Church Cathedral, Oxford and two in Durham University in conjunction with Durham Cathedral, although academics titled "canon professor" may also be found at other universities where the appointments as canon and professor have been made independently. Section 2 of the Church of England (Miscellaneous Provisions) Measure 1995 was passed for the express purpose of enabling Christ Church Cathedral, Oxford, to appoint not more than two lay canons. One of the motivations for this provision was the fact that, under section 6 of the Ecclesiastical Commissioners Act 1840, the position of Regius Professor of Ecclesiastical History in the University of Oxford was annexed to a Residentiary Canonry of the cathedral, meaning that the Regius professorship could be held only by an Anglican priest. Following the death of Peter Hinchliff in 1995 the Regius professorship was held by Henry Mayr-Harting, a Roman Catholic layman, from 1997 until 2003, and was taken up by another lay person, Sarah Foot, in Michaelmas Term 2007. Three other Statutory Professorships, the Regius Professorship of Divinity, Lady Margaret Professorship of Divinity, recently held by the famous Anglican theologian, John Macquarrie, and Regius Professorship of Moral and Pastoral Theology, are annexed to canonries of Christ Church and were until recently held only by Anglican priests. At Durham, the canon professorships are the Van Mildert Professor of Divinity, the holder of which must be an Anglican priest, and the Michael Ramsey Professor of Anglican Studies, who must be Anglican but did not have to be ordained. Historically, the chair in Greek at the university was also a canon professorship. This canonry was transferred to the Lightfoot Professor of Divinity in 1940. The Lightfoot professorship was attached to the canonry until 1985, when the non-Anglican James Dunn was appointed. Minor Canons are those clergy who are members of the foundation of a cathedral or collegiate establishment. They take part in the daily services. They have sometimes formed a distinct corporation as at St Paul's, London. In St Patrick's Dublin they are distinct from, and rank before, the Vicars Choral. The two groups overlap however; the two senior vicars, the Dean's Vicar and the Succentor, are also the two senior Minor Canons. Some Minor Canons do sit with, but are not voting members of, the Chapter. Although at present Minor Canons are generally more junior clergy this is a recent development. Within living memory such offices were often freehold and were held by clergy of great distinction and seniority. Canons regular are the members of certain religious orders in the Roman Catholic Church (not to be confused with clerics regular), composed of priests and some choir canons who live in community, together in the past with lay brothers. There are a variety of congregations of canons, some of which are part of the Confederation of Canons Regular of St. Augustine. Canons Regular of St. John Cantius, founded in 1998 by Fr. C. Frank Phillips, C.R., and Francis Cardinal George, O.M.I. Many bishops endeavoured to imitate St. Augustine and St. Eusebius, and to live a common life with the clergy of their church. Rules taken from the sacred canons were even drawn up for their use, of which the most celebrated is that of St. Chrodegang, Bishop of Metz (766). In the tenth century, this institution declined; the canons, as the clergy attached to a church and living a common life were called, began to live separately; some of them, however, resisted this relaxation of discipline, and even added poverty to their common life. This is the origin of the canons regular. Pope Benedict XII by his constitution Ad decorem (15 May 1339) prescribed a general reform of the canons regular. The canons regular ex professo united Holy Orders with religious life, and being attached to a church, devoted themselves to promoting the dignity of divine worship. With monks, Holy Orders are incidental and secondary, and are superadded to the religious life. With canons as with the clerks regular, Holy Orders are the principal thing, and the religious life is superadded to the Holy Orders. ^ "Canon 502 §3". The Code of Canon Law. Rome, IT: The Vatican. Retrieved 2013-12-01. ^ "Canon information". www.smomge.org/Brianz.jpg (Image search result). Google. Retrieved 14 January 2018. ^ "Ente - Santissimo Salvatore e Santi Giovanni Battista ed Evangelista in Laterano" (in Italian). Vicariate of the Diocese of Rome. Retrieved 18 June 2014. ^ "Ente - San Pietro in Vaticano" (in Italian). Vicariate of the Diocese of Rome. Retrieved 18 June 2014. ^ "Liberian Chapter. The Chapter of Saint Mary Major". Rome: The Vatican. Retrieved 14 January 2018. ^ "Ente - San Paolo fuori le Mura". Vicariate of the Diocese of Rome. Retrieved 14 January 2018. ^ Mark Hill; Russell Sandberg; Norman Doe (2011). Religion and Law in the United Kingdom. Kluwer Law International. p. 182. ISBN 9789041134400. ^ "Cathedral and university welcome new professors". Premier Christian Media Trust. 2014. Retrieved 30 December 2016. ^ "Canon Professor Elaine Graham". Chester University. Retrieved 30 December 2016. ^ "The Revd Canon Professor Richard Burridge". King's College London. Retrieved 30 December 2016. ^ "The Revd Canon Professor Leslie Francis". University of Warwick. Retrieved 30 December 2016. ^ "Church of England (Miscellaneous Provisions) Measure 1995 No. 2". Opsi.gov.uk. Retrieved 2013-12-01. ^ "Two new Canon Professors appointed". Durham University. 12 February 2015. Retrieved 30 December 2016. ^ "Van Mildert Canon Professor of Divinity". Archived from the original on 4 March 2016. Retrieved 30 December 2016. ^ "Michael Ramsey Professor of Anglican Studies". Archived from the original on 4 March 2016. Retrieved 30 December 2016. ^ The Universities Review, Volumes 13-17. 1940. p. 37. ^ "The Rev Professor Douglas Jones". The Independent. 2 December 2005. 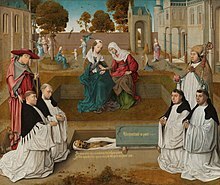 Wikimedia Commons has media related to Canons (priests).